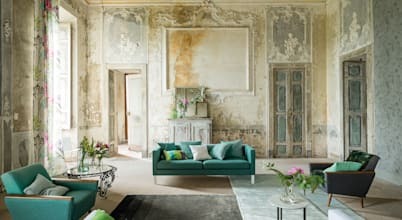 Structure The Designers Guild Group employs over 280 people in the UK and overseas offices in Munich and Paris. 250 are in the UK, with a store and showrooms in Kings Road and Marylebone High Street, London, a 80,000 sq ft distribution centre and 16,000 sq ft purpose built head office, both in West London. All sales networks are supported by a fully computerised customer service facility and B2B website which handles over 1000 orders, deals with queries and provides full technical information. Linked to this are stock control and purchasing systems which process over 2 million metres of fabric and wallpaper a year. Rapid deliveries are guaranteed through a network of couriers and orders can be despatched anywhere in the UK, Europe and worldwide within 24 hours. The management of the Company flows from a corporate strategy, using planning, communication and information management systems. 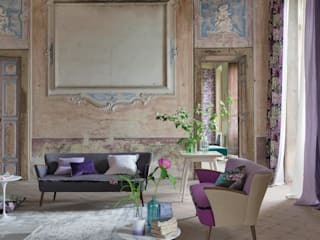 The Designers Guild philosophy includes equity participation and communication at all levels of the Group and the Company enjoys tremendous commitment from its staff, who are aware and kept informed of strategic developments and performance. Marketing Turnover has grown rapidly over the past 20 years to over £55 million selling to interior designers, department stores, retailers and the hotel and contract market. The single largest market is the UK. 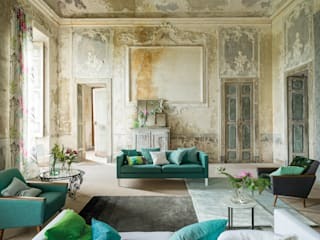 Sales overseas are through local Designers Guild operating centres in France, Germany and Italy and agents & distributors in the rest of Europe and world–wide. 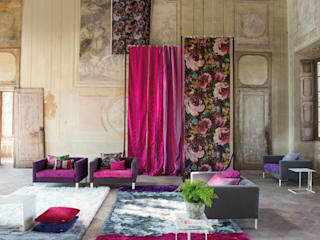 Of total sales, over 60% is overseas, with Designers Guild represented in over 60 countries. 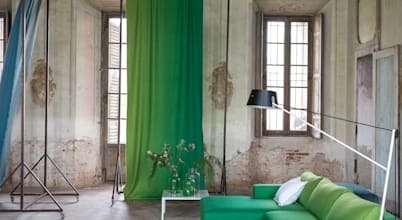 There are Designers Guild showrooms in Paris and Munich with further Designers Guild areas in over 60 showrooms across the world including all of Europe to New York, LA, Tokyo and Sydney. Some decorating trends go out of style very quickly. We all know that some styles that are classic and timeless, and some go out of fashion in a matter of months. Like all the spaces in your house, the living room needs to suit your own personal quirks and tastes. But the tricky thing, however, is that it should also be welcoming for friends and guests. Curtains and blinds provide so much more than just a hanging fabric or window cover. They are a key element in any design and play a very important part in how a room will look when it is finished.